I don’t have a lot of spare time. Maybe you do, perhaps you have hours you’re willing to wile away in endless pursuits of things that consume your time. I don’t have a lot of extra space. Maybe you do, you might be living over your own personal Batcave, walls and racks of neatly organized cards. I’m going to share with you a viewpoint that is going to cause some controversy, and why I’m wrong, and yet why I’m right. I’ve stopped keeping cards after Draft and Sealed events, except for all rares and a select few uncommons. I find a kid at the store, or I leave them in a pile. I don’t want any more commons. I don’t want to sort cards. I don’t want to keep them in a box for years. I don’t want to hope that one day, these will be $2 uncommons. Right now, at the same time, I’m sending out commons and uncommons from old sets on PucaTrade. These two viewpoints might seem in direct opposition. I’m currently mining my old draft chaff for money commons and uncommons (good lord, did I draft a lot of Hedron Crabs and Blighted Agents!) but I’m not keeping them now? What gives? I am going to walk you through what makes an old common/uncommon worth something, and why I think almost nothing in the modern day is worth it. For an older common or uncommon to make it to a $2 retail price, a lot of things have to go right. The first of them is that people have to want it years after it was printed. Very few commons and uncommons have enough power to be worth it. Hedron Crab is worth it. Steppe Lynx is not. Both of these are one-drops with awesome landfall. I realize that the Crab is uncommon while the Lynx is a common, but it’s twenty cents vs. $3.50. The difference is that there will always be a place for milling someone out of the game, and just attacking for four on turn two is so boring. Lynx even sees more tournament play, but every casual player who sees the Crab, well, their eyes light up and their mind gets blown. Let’s face it: the game has grown enormously since Zendikar. It’s grown a whole lot even since New Phyrexia. There are tons and tons more packs opened in the present day, and while I wish I could give you exact numbers, I can’t. I know that every year, Wizards has bragged that the big Fall set was the best-selling set ever, and while I’m not sure how the new two-block model is going to fit in, that’s a lot of growth over five to seven years. We know that in talking to investors, there’s percentages of growth thrown around each year, but that’s inexact. So I’m not going to try and pull real numbers out, I’m content to say that the game is a lot bigger. The simple truth is that there’s a lot less of older cards around, but I’m not even talking older as in Odyssey, I mean even Scars of Mirrodin block. The 6:2:1 model also applies, making third-set cards especially in demand sometimes. Here’s an example: Stasis Snare vs. Journey to Nowhere vs. Silkwrap. The Journey is a whole white mana cheaper, and that’s big, big, super important. Removal used to be a lot stronger, and now we get conditional where it used to be universal. Silkwrap is interesting, as it got up to $3 at one point but now it’s back to a dollar. It was in Urza’s Saga, and then one duel deck in 2010 (right at Magic’s renaissance) and it was $5, until it got three years straight of reprints: Commander 2014, 2015, and then Eternal Masters. Even with all that, the original is still $2 and in case you didn’t know, I love picking up the foil in the $12 range. Very safe and it’s got excellent growth potential. Finally, a card has to be good. Not just good. Great. Interestingly, removal spells aren’t always in this category, though Lightning Bolt is fascinating. Thirteen printings (with three of those having foil versions, two different promos, a range of arts!) and it was almost always a common! I’m willing to listen to discussions about the most printed cards to keep a price, I think this is #1 on the list. It’s good, it’s cheap, it’s versatile. This is what I use to determine if I should keep an uncommon or common at the end of a draft. So with this in mind, what am I keeping after a draft? Duskwatch Recruiter: Could have been a rare easily, great on either side. Erdwal Illuminator: Unique effect, will spike when they use Investigate again. Geistblast: It’s a Fork stapled to a Shock. Gotta love it. Graf Mole: Cheap and good blocker. Heir of Falkenrath: cheap and aggressive, not as good for discarding as Oona’s Prowler but unique. Lambholt Pacifist: Proven as a cheap and big creature. Neglected Heirloom: I’m betting on casual Werewolf decks here. Rise From the Tides: Huge payoff for spell-based decks. Geist of the Archives: Good blocker and very relevant ability. Graf Rats/Midnight Scavengers: I love all the Meld cards, long term. When are they going to have a chance to do these again? Haunted Dead: Two-for-one on one creature that can bring itself back at instant speed. Lone Rider: Lifegain decks are going to love this jerk. Noose Constrictor: It’s going to be a $2 uncommon in six months. Weaver of Lightning: Nothing else does this, so I’m interested. Cool distillation of a problem we all face eventually. I’m with ya Cliff! Cliff, I think I’m actually in complete agreement with you. Does “most selling set ever” include online redemptions? I don’t think it does and I have yet to hear anyone talk about how much product that adds to the market. 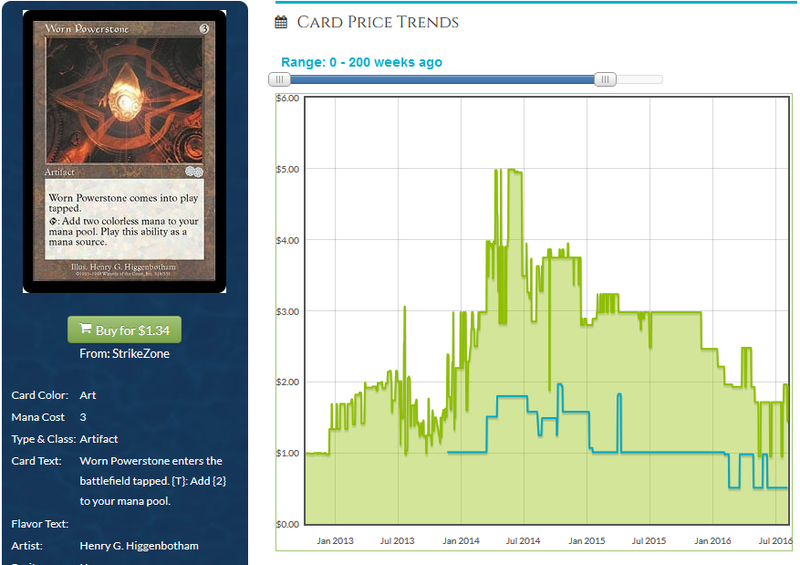 There’s always a massive decline in card prices around the time set redemption begins. Anywhere I can find redemption numbers/supply? Great insight. I believe the game with continue to grow it’s player base and therefore there will be a big demand for great uncommons and such in the future. Most people will sell their entire collection at some point, but this world is just so awesome I think a very high percentage will eventually come back to the game. I am curious about one pick from your list though. Why should Noose Constrictor be $2? I think it’s a great and underrated card, but that’s a big price tag.